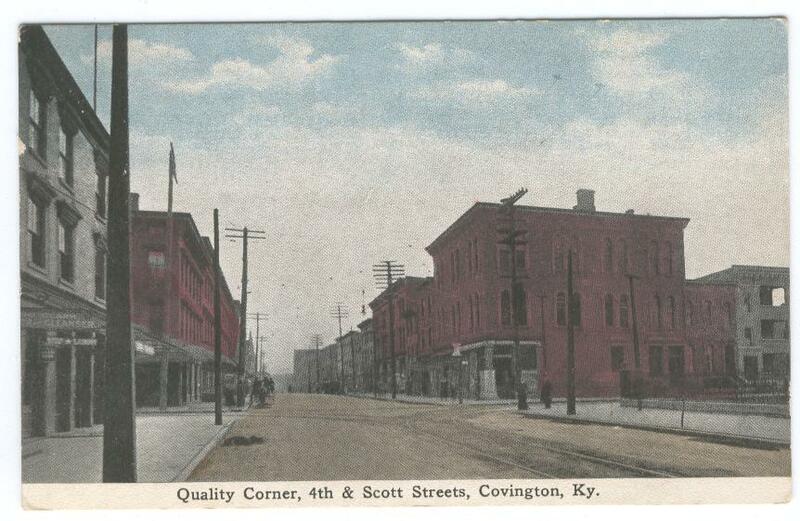 The largest place named Covington in the world is the county seat of Kenton County, North Central Kentucky. It is to be found at the confluence of the Ohio & Licking Rivers on the left bank opposite and south of Cincinnati. The recently completed 1-75 road leads from Lexington to Covington. The town is nicknamed "The Dixie Gateway". Population figures have steadily risen from 24,500 in 1870 through 37,400 in 1890 to reach a peak of 52,535 in 1970. By 1980 the figure had fallen back to 49,013. Covington is the second largest city in State of Kentucky. The Covington county subdivision has a population of 112,808 (1990). Originally given to George Muse in return for military services, the site was traded in 1780 for a keg of whiskey. 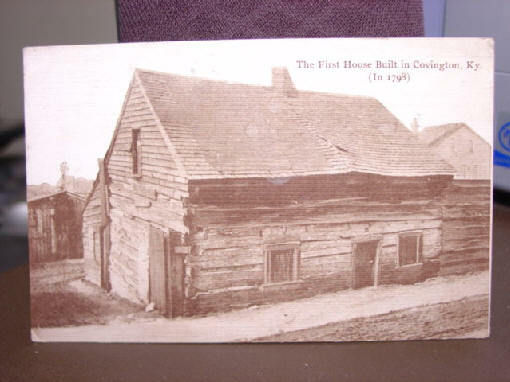 The first house was built in 1791. Laid out in 1815 and named after General Leonard Covington of Maryland, who died in the War of 1812. It began to flourish as a trading centre due to the opening of the Covington - Georgetown Turnpike in 1819 (originally in 1801 a ferry crossing and a tavern). In 1834 a city charter was granted by State Legislature. 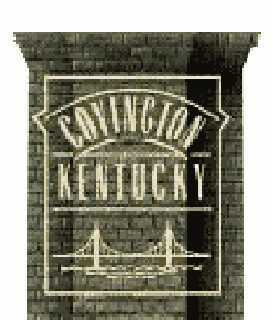 Laced to Cincinnati by seven broad bridges spanning the Ohio River, Covington is an industrial town in its own right. 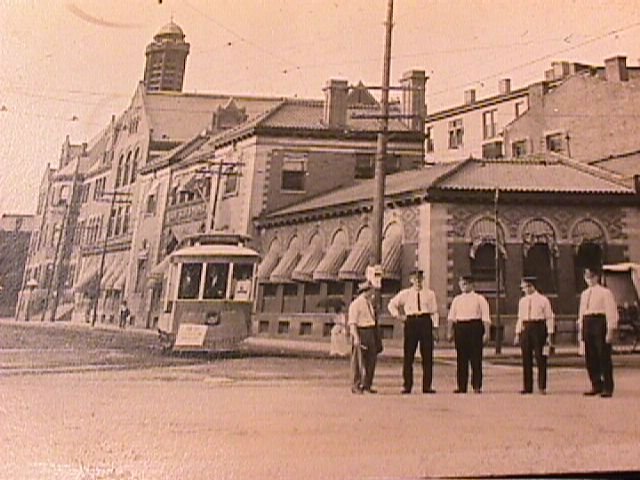 Its early days saw many German settlers who left their mark on the city. Even the setting on the bank of the Ohio River is reminiscent of the Rhine in Germany. Areas of the waterfront have being restored and many riverboat excursions leave from there. 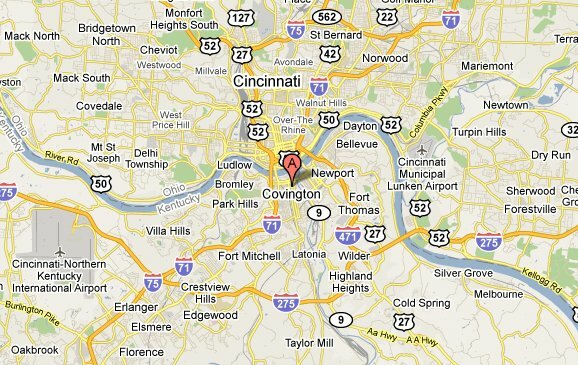 Greater Cincinatti Airport lies just outside the town. 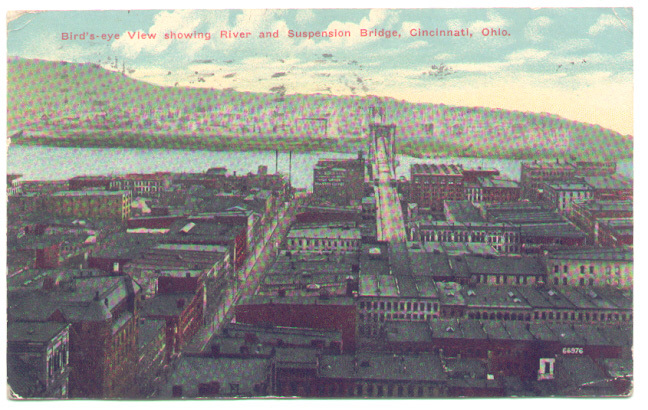 Major points of interest are the Suspension Bridge which was designed & built by John A. Roebling 1866, crossing the 2nd and Court Sts to Cincinnati. It is the prototype of the Brooklyn Bridge in New York City. The Carroll Chimes Bell Tower is a 100ft tower featuring a hand played carillon and mechanical figures which portray the legend of the Pied Piper of Hamelin. The Roman Catholic Basilica of the Assumption, built 1901, is styled after the Abbey of St Denis and the Notre-Dame in Paris and has one of the largest stained glass windows in the world and is the see of a Catholic Bishop. The Thomas More College, built 1921, formally Villa Madonna College and University of Kentucky Northern Community College is also based here. 1450 students are based at this liberal arts college. It is reputed to have the worlds smallest chapel at Monte Casino, seating 3 is situated on the campus. Vent Haven Museum contains the largest collection of ventriloquist figures and memorobilia, (555 figures). Covington also has one of the worlds largest X ray equipment laboratories. Other attractions are The Latonia Race Track which was opened in 1883 and Carneal House built in 1815. Devou Park is a municipal 550 wooded acres overlooking the Ohio River and included in it's grounds is the Behringer-Crawford Archaeology Museum. Covington was the birthplace of Dan Carter Beard, founder of the Boy Scouts in America Movement and was designated a national historical landmark in 1965. It was also the birthplace of artist Frank Daveneuck and a museum is devoted to his paintings in the city. **** Drawbridge Inn, tel 606 341-2800, Howard Johnson's South, tel 606 727-3400, Quality Inn-Riverview, tel 606 491-1200 and Ramada Inn-South, tel 606 371-4700. ** Best Western Airport Inn, tel 606 342-6200, Holiday Inn, tel 606 371-2700, Holiday Inn-Riverfront, tel 606 291-4300 and Pick Americana Inn, tel 606 371-1776. * Budgetel Florence, tel 606 371-0277, L-K Penny Pincher Inn, tel 606 342-6030 and Wildwood Motor Inn, tel 606 371-6300. *** The Conservatory and The Gatehouse Tavern. ** Betty Blake Cruise Boat, Captain's Anchorage, El Greco, Mike Fink & The Riverview Room. · Sky Chef's River Queen and Town & Country. - Kentucky Post, 421 Madison Ave, Covington. - Filson Club Library, 118 W.Breckenridge, Louisville 40217. 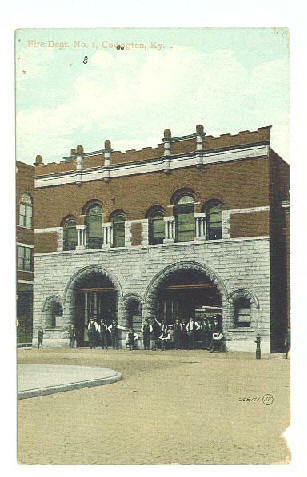 - Kentucky Historical Society Library, Box H, Frankfort 40601. - Daughters of the Cincinnati, 953 Fifth Avenue, New York NY21. 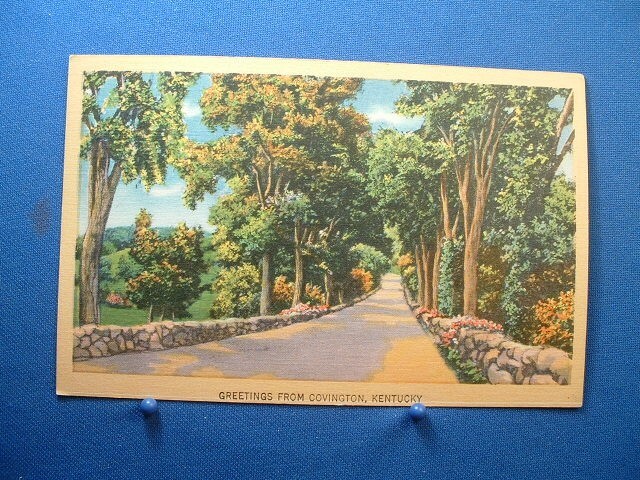 - N. Kentucky Convention & Visitors Bureau, Main Strasse Village, 605 Philadelphia St., 41011. Celebrating its 180th year, Covington, Kentucky, values its many residential and commercial structures that have historic and/or architectural significance. 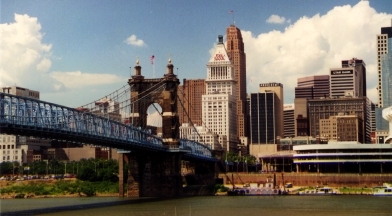 However, its lower housing prices and proximity to the expanding Cincinnati, Ohio, metropolitan area have made Covington a densely populated city that has little room for growth. Covington also must contend with the challenges of increasing crime, deteriorating infrastructure, and growing needs among its low-income residents. The city's Consolidated Plan has a budget of $2.3 million in Community Development Block Grant (CDBG) funds, $506,000 in HOME Investment Partnership (HOME) Program funds, and $84,000 in Emergency Shelter Grants (ESG). As the lead agency responsible for developing the Consolidated Plan, Covington's Housing Development Department met with 26 city administrative departments, public and private agencies, social service providers, civic organizations, special interest groups, and individual citizens. Working in cooperation with the Housing Authority of Covington (HAC), the Housing Development Department held a public hearing so that citizens could comment on housing and community development needs. In addition to publicizing the hearing in the Kentucky Post, the city mailed announcements to approximately 700 citizens, including 500 public housing residents. HAC further encouraged citizen participation by forming a Comprehensive Grant Program Partnership Process Planning Group, which sponsored resident input meetings held at each of HAC's four sites. 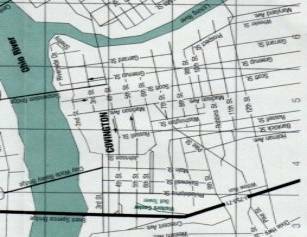 Between 1980 and 1990, the population of Covington declined from 49,563 to 43,264. This decrease occurred primarily among the white population. In 1990 whites comprised 91 percent of the total population; African Americans comprised just under 8 percent; and other minorities comprised approximately 1 percent. In 1990 more than one-third of all households were very low-income. Among white households, the very-low income were 36 percent, versus 66 percent of African-American households. More than half of all households were low-income, earning less than 80 percent of the median family income. The 1990 census indicated that the elderly constitute the fastest growing population group in Covington. During the past 4 years, the number of very low-income elderly households increased by 78 percent. The city's infrastructure is deteriorating because of its age. Although a recent State law allowed the city to relinquish ownership and maintenance of its sewers to the Kenton County Sanitation District, a survey indicated that at least $3 million would be needed to upgrade the sewer system to meet acceptable standards. Because much of the city's public streets and sidewalks are older, they also need improvement. The most significant characteristic of Covington's housing stock is its age. More than 58 percent of all housing units were built before 1939. Many units in the northern half of the city are more than 100 years old. Although an abundant supply of homes is available, the age of these homes often creates rehabilitation costs that are higher than the actual purchase price. The 1990 census reported that 9 percent of all units were vacant. The majority of these were rental units, and 228 were owner occupied. Overall, 4 percent of the vacant units were considered substandard. Although the southern half of the city has been more recently developed, little land is available for new construction. When the southernmost section of the city was annexed 20 years ago, the ensuing rapid development was targeted to entry-level homebuyers who could afford homes that cost between $70,000 and $80,000. Recent development in this area has resulted in the construction of higher-priced homes that cost between $100,000 and $150,000. The cost of a single-family home varies throughout the city. Although the price for a home ranges from $20,000 to $300,000, the majority of homes cost between $40,000 and $65,000. The cost of rental housing also varies, with the median rent for one- and two-bedroom units ranging from $300 to $500 per month. The 1990 census reported that 15,506 housing units were occupied by very low- and low-income households. The city estimated that only 35 percent of their housing needs were being met. Among rental units, median rents increased by an estimated 70 percent, while renters' median incomes increased by only 40 percent. Approximately 45 percent of renters and 22 percent of homeowners spent more than 25 percent of their income for housing. The city estimated that 73 percent of small-family renters had cost burdens, paying more than 30 percent of their gross income for housing expenses. Furthermore, 343 large-family renter households and 1,072 elderly renter households had cost burdens, paying more than 30 percent for housing. Many of the city's homeowners are low- and very low-income elderly persons, who face increasing maintenance burdens. Overall, 1,232 owner households had cost burdens, paying more than 30 percent for housing. A 1993 survey identified 370 homeless persons within the city's jurisdiction. Of this number, 114 were males; 119 were females; and 137 were children. The majority were white; 71 were African American; 6 were Hispanic; and 4 were Native American. In the special needs category, 103 had alcohol or drug abuse problems; 72 were victims of domestic violence; 22 had severe mental illness; and 4 had HIV/AIDS. Covington has 13 agencies that provide services to the homeless, including: Fairhaven Rescue Mission, Homeward Bound Runaway Shelter, Storehouse Ministries, Transitions Inc., Welcome House, Women's Crisis Center, Parish Kitchen, Interfaith Hospitality Network of Northern Kentucky, Comprehensive Care Center of Northern Kentucky, Northern Kentucky Housing and Homeless Coalition, Anawim Housing, Inc., Brighton Center, Inc., and Be Concerned. · Establishing an interagency council to coordinate services, promote cooperation, and develop new ideas. · Providing prevention and outreach services. · Offering emergency services as the point of entry into a continuum of care. · Providing transitional and permanent housing. HAC manages 963 public housing units. Of these, 137 are studio units; 215 have one bedroom; 371 have two bedrooms; 208 have three bedrooms; and 32 have 4 or more bedrooms. Currently, 53 of these units are vacant. HAC also operates 41 handicapped-accessible Section 504 units. Covington's Housing Development Department administers the Section 8 program all of Kenton County, which includes 1,075 assisted units. Of this number, 913 were tenant-based certificates; 117 were vouchers; and 45 were moderate rehabilitation units. The city does not expect to lose any Section 8 units from the assisted housing inventory during the 1995-1996 program year. Located in the city are 1,060 other assisted units, including 766 Section 202 and Section 8 efficiency and one-bedroom units reserved for the elderly. Another 55 units are one-bedroom handicapped-accessible units. Currently, only 9 units are vacant. · Economic and racial segregation. · No private sector interest in affordable housing development. · Exclusionary and restrictive land use controls. · Little support for and awareness of special needs housing. · Insufficient rental housing for families with children. The 1990 census reported that of 19,117 housing units, 12,833 contained lead-based paint. The highest percentages of elevated blood-lead levels were found in the downtown area, where most of the older housing stock was concentrated. Between April 1, 1993, and January 31, 1995, the Northern Kentucky Independent District Health Department's blood screening program documented 3,513 cases of elevated blood-lead levels. The elderly constitute the fastest growing population group in Covington. 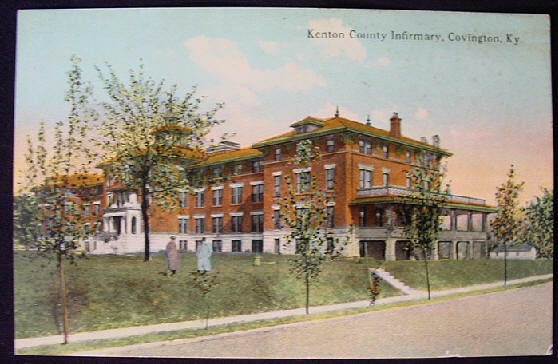 Senior Citizens of Northern Kentucky estimates that 31 elderly persons in Covington need supportive housing and that 25 of these are frail elderly. The United Way reports that more affordable housing as well as repair and maintenance also are needed. An estimated 160 persons in Covington have long-term mental illnesses that create various housing problems. In addition to housing problems associated with mental illness, these people have housing problems because of their low incomes. Furthermore, these people need some form of supportive services. An estimated 50 persons are physically disabled and need supportive housing. Currently, 104 handicapped-accessible units are available, and some agencies are providing supportive services. An estimated 140 to 150 individuals are developmentally disabled. Of this total, 112 require supportive services and cannot achieve self-sufficiency. The remaining 25 percent can achieve self-sufficiency but require supportive services to complete the transition to permanent housing. Transitions, Inc., estimates that nearly 400 persons with substance abuse problems need supportive housing. The needs of this population include housing for children as well as treatment and counseling for adults. The Northern Kentucky Independent District Health Department HIV/AIDS Prevention and Management Program reports that an estimated 10 persons with HIV/AIDS -- 25 percent of all non-homeless persons with HIV/AIDS -- need supportive housing services, ranging from minimum to total care. Covington's Section 8 Program estimates that at least 575 low-income female-headed households would benefit from supportive housing, which would offer services, such as medical and child care, counseling, education, and job training. · Public facilities, including: neighborhood facilities, parks and recreation facilities, senior citizens centers, child-care centers, youth centers, and parking facilities. · Infrastructure improvements, including: street and sewer improvements, sidewalk replacements, and maintenance of sewer laterals. · Public services, including: social services for the elderly and youth, economic opportunities, tenant-landlord counseling, and crime awareness. · Accessibility, including handicap ramps at curb and sidewalk intersections. · Historic preservation of older buildings. · Economic development, including new business creation and retention, with an emphasis on small businesses. · Energy efficiency improvements, lead-based paint abatement, and code enforcement. · Increased homeownership opportunities for extremely low-income households, particularly the elderly and families. · Preservation of the current housing stock through various programs, such as the Owner-Occupancy Rehabilitation program, the Home Repair Program, and the Emergency Repair Program. · Creation of new housing through the city's Urban Reclamation Program, which acquires vacant dilapidated buildings, rehabilitates them, and resells them. · In-fill housing to create new housing units on vacant, city-owned land. · Infrastructure improvements, including sewers, sidewalks, and streets. · Public facilities, including centers for seniors and youth. · recreational programs for youth. · Economic development, including business start-up assistance for small- business maintenance and expansion. · "Are You OK" program for disabled and senior citizens. · Ambulance service not limited to a person's ability to pay. · A Landlord Tenant Law that protects both parties. · Family Self-Sufficiency incentives to improve job skills and education. · "Yes You Can ... Own A Home" homeownership training program. The Consolidated Plan uses resources from many sectors, such as public agencies and departments as well as nonprofit and for-profit organizations. Public service agencies include: the Northern Kentucky Community Center, Covington Community Center, and the Northern Kentucky Arts Council. These organizations use CDBG funds to expand their fundraising capacities and to meet United Way or foundation funding requirements. The HOME homebuyer assistance activity, which promotes homeownership among low- and moderate-income households, is possible only because local banks and savings and loan associations cooperate with the city to provide these prospective homeowners with mortgage loans. State and local funds often are used to complement city activities. City-sponsored recreational activities are held in Covington Public School buildings after school and on weekends. These facilities may be used free of charge because the city's general fund absorbs the cost of staff employed by these programs. Other essential nonprofit organizations include: Northern Kentucky Association for the Retarded, Interfaith Hospitality Council, Jacob's Well, Homeward Bound Runaway Shelter, Storehouse Ministries, Parish Kitchen, Transitions, Inc., and Habitat for Humanity. The city collaborates with HAC to implement the Consolidated Plan. The city and HAC have been co-applicants for several Drug Elimination Grants. These have resulted in the construction of a youth center next to the Jacob Price Homes . Additional coordination is accomplished through the city's close relationship with approximately a dozen local nonprofit social service providers. A wide range of services are provided to senior citizens, youth, the homeless, and low- and moderate-income citizens with special needs. · Rehabilitation grants and deferred payment loans will offer a maximum of $22,000 to 40 low- and moderate-income homeowners to rehabilitate their homes. Also, special rehabilitation grants will be offered for residential and commercial projects approved by the city commission ($768,800). · Home repair deferred payment loans and grants will offer a maximum of $6,500 to 37 very low-income homeowners for minor home repairs ($70,224). · Emery Row and Eighth Street Project will rehabilitate 15 formerly vacant and blighted apartments ($285,000). · Transitions, Inc., will provide tuckpoint, paint the exterior of a building, replace a parking lot, and install carpeting at a drug and alcohol rehabilitation facility for women and their children ($27,052). · A public improvements project will install curbs and sidewalks and will resurface streets and streetscaping in a targeted low-income neighborhood ($390,000). · A small-business loan program will provide working capital, equipment, and financial assistance to 10 businesses in CDBG-targeted areas ($50,000). · Real property acquisition, monitored by the Urban Reclamation Program's Vacant Properties Review Commission, will acquire 15 properties for economic development activities ($110,000). 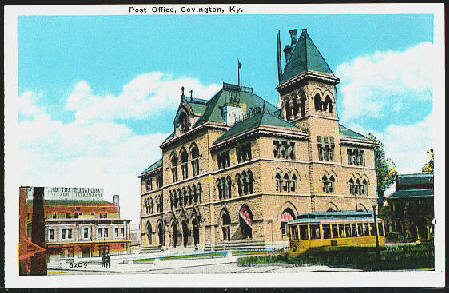 · Northern Kentucky Arts Council project will rehabilitate the Carnegie Arts Center ($28,000). · Mainstrasse public improvements project will develop the Mainstrasse Commons at 618 Main Street ($25,000). · Welcome House of Northern Kentucky, a shelter for homeless women and children, will use funds for rehabilitation, operating costs, and medical and transportation services ($50,100). · A rental rehabilitation project will renovate 8 units for low-income tenants ($80,000). · Homebuyer assistance will help 12 to 15 low-income families to purchase housing ($170,000). · Homeward Bound - Brighton Center will rehabilitate a shelter for runaway youth (25,500). · Anticrime program will increase patrols in low- and moderate-income neighborhoods by paying the salaries of additional police officers ($115,547). · Rehabilitation of 190 owner-occupied units and 100 rental units. · Repairs on 185 housing units. · Emergency repairs on 240 housing units. · being converted into rental units. · Acquisition of 40 vacant lots for in-fill housing. · Assistance for 2,675 families that are on the waiting list for public housing. (Of these, 1,500 are on the Section 8 program waiting list, and 1,175 are on the public housing list). To comment on Covington's Consolidated Plan, please contact Howard Hodge, Housing Development Director, at 606-292-2188.